Obituary for Connie Sue (Webster) Anderson | Clark-Gashaw Mortuary, Inc.
Connie Sue Anderson, 74, of Osborne, KS passed away on March 14, 2019 at her home in Osborne after a long battle with cancer. She was born on August 19, 1944 in Paradise, KS to Carl & Anna C. (Webster) Anderson. Connie was one of several children. Connie graduated from the Paradise Schools and then from the Willcox Beauty Academy in Dodge City, KS. She worked in beauty shops in Russell and Lincoln, KS. While she was working in Lincoln, she met her future husband, John Anderson. They were married and had 3 children. While John was in the service, they lived in Pensacola, FL, Norfolk, VA and Bethesda, MD. After John was discharged from the service, they moved to Osborne, KS and made it their home. She later worked as a retail clerk in several businesses in Osborne. 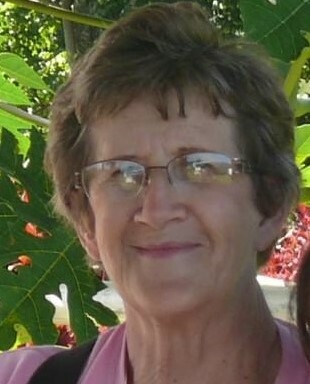 Connie was a member of the Portis United Methodist Church. She was also an active member in the Osborne VFW Aux. #7743. Connie was preceded in death by her parents. Connie is survived by her husband John of Osborne; daughter: Shawn (Mark) Lofing of Kinsley, KS; sons: Christian (Mellisa) Anderson of Wamego, KS; Charles (Schanee) Anderson of Wichita, KS; 7 grandchildren; sister: Anita Swartz of Kansas City, KS; brothers: Jerry Webster of Landenburg, PA; Alvin Webster of Russell, KS.